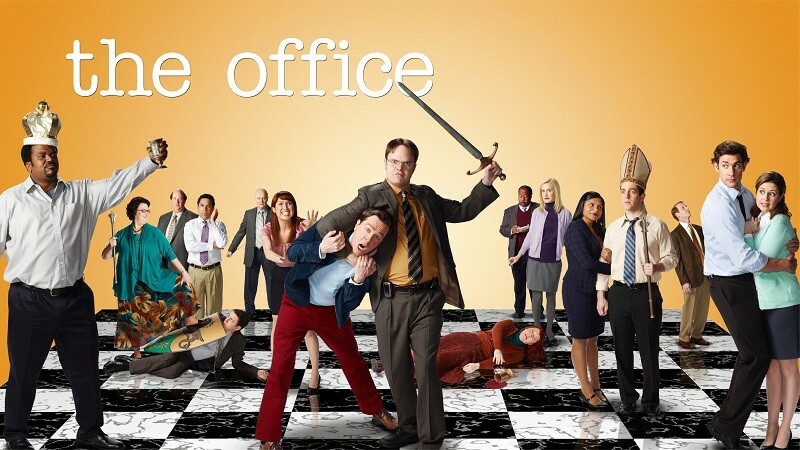 NBC announced last week that the hour-long series finale of The Office will air on Thursday, May 16th at 9:00pm. The finale will mark a major milestone with it being the show’s 200th episode, wrapping up nine seasons of the hit comedy series. Former Scranton boss Michael Scott (Steve Carrell) has confirmed that he will not be returning for the finale (we hope he’s bluffing), but former employees Ryan (B.J. Novak), Kelly (Mindy Kaling), and Gabe (Zach Woods) will make an appearance in the finale. The “Scranton Strangler” will also be revealed when Toby visits the accused in prison to determine his true guilt. When Steve Carrell left the show in season 7, viewers were understandably concerned about what might happen to the Thursday night staple. The show did have many hit or miss moments since its earlier seasons, but even without the Carrell holding the reigns, the show continued to have some of the most hilarious and memorable moments throughout season 8 and 9. I’ve watched the show since the beginning, and I wanted to share with you my Top 5 favourite and most hilarious moments. Check them out after the jump! Angela: Do you really expect us to believe you’re somebody else? Prison Mike: Do you really expect me not to push you up against the wall, biatch? Jim: What did you do, Prison Mike? Prison Mike: I stole and I robbed and I kidnapped the President’s son and held him for ransom. Pam: Prison Mike, what was the food like in prison? Prison Mike: Gruel sandwiches. Gruel omelettes. Nothing but gruel. Plus, you can eat your own hair. Although this moment ends seriously with Stanley’s heart attack, it’s still the most hilarious moment from all 9 seasons in my opinion. This all happens in the first five minutes of the episode, even before the opening credits roll. Annoyed that none of his co-workers have paid attention to his previous fire safety seminars, Dwight tries another approach by sealing the office exits shut, cutting the phone lines and starting a fire in a trash can. The panicked employees try to break down doors, smash windows, crawl through air ducts all while destroying the office. I genuinely do feel sorry for Toby, but I also could not help but laugh every time Michael and him were on the screen together. Michael openly despised Toby because he is a corporate Human Recourses and is required to enforce the corporate rules that Michael so dearly loves to break. The video is a montage of Michael’s hatred for poor Toby. My favourite one is Michael’s reaction when Toby returns to Scranton. From the episode “Casino Night”. The second season finale and the first episode written by Steve Carell. Jim tells Pam he loves her….then she rejects him….then they kiss. Gives me goose bumps every time! After Jan moves into Michaels condo, she forces him to spend money on renovations as well as a Porsche Boxter. The changes in his financial situation causes him to pay off his heavy debt by working as a telemarketer until 1 am. Creed advises Michael to declare bankruptcy, which he does literally, walking into the office and shouting “I declare bankruptcy!”, thinking this was all he needed to do. Post your favourite moments from The Office in the comments! Loved the post and love The Office! Seinfeld and The Office do mirror my crazy life. I actually did work with people who represented several characters in The Office.